A large number of mines in Western Australia are experiencing relatively high horizontal in situ stress fields, even at relatively shallow depths. Early signs of high stresses have been observed in several of the existing and newly developed underground mines, and this has stimulated the general interest for stress measurements. Currently, the attention is focused into the characterisation of in situ stresses within the working areas where access is available. Furthermore, the need exists for measurements at depth in remote regions that are not possible to be accessed from current mine workings, but where extensive geotechnical data from drillcore is widely available. A two year research project started in early 2000 in order to thoroughly investigate one of the most promising new stress management techniques that allow the determination of in situ and induced stresses using oriented cored rock samples. The method has extremely useful attributes including the determination of a large number of measurements at much lower cost than the currently commercially available techniques. Consequently, it is possible to achieve a large coverage across an orebody width and depth. In addition, a representative and detailed knowledge of the in situ stress field could be determined during the early stages of a project (such as mine feasibility studies), even in areas where current access is not yet available. Pillar stress measurements in secondary stopes, room and pillar operations and stope crowns can also be readily achieved using this core based technique. The information can be used for input and calibration of numerical models and can lead to an optimisation of mine design. As a result, safer and more economical extraction sequences from early design to pillar recovery are likely to be achieved. The project has been partly funded by the Minerals and Energy Research Institute of Western Australia (MERIWA) and developed through the Australian Centre for Geomechanics. Funding has been used to setup a world-class laboratory testing facility at the Western Australian School of Mines (WASM) in Kalgoorlie. 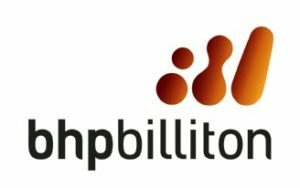 Major industry sponsors included BHP Cannington, WMC St Ives, WASM, and the National Institute for Resources and the Environment (NIRE) in Japan. In addition, Kanowna Belle and Central Norseman Gold Corporation, Kundana Operations, Sons of Gwalia and Mount Marion were also minor project sponsors. The research aim was to compare the experimental results estimated by the Acoustic Emission (AE) and Deformation Rate Analysis (DRA) methods to those estimated by conventional HI cell measurements. The AE and DRA methods used to estimate the in situ stresses from cored rock samples are based on the principle of the Kaiser effect. The analysis of this phenomenon supposes that a previously applied maximum stress may be detected by loading a rock specimen to a point where a substantial increase in acoustic emission (AE) activity is experienced. The Kaiser effect is the recollection of the immediate maximum previous stress to which a particular rock mass has been subjected by its environment. The principle behind both techniques is that changes in the rate of AE and of axial strain with stress occur at the maximum stress level (along the axis of the sample) to which the sample had previously been subjected. Data was collected from a number of sites with different geological environments, and in most cases the core was obtained from the same hole where conventional stress measurements had been carried out. The studies have focused on the determination of the full stress tensor from a single oriented cored rock. In all cases, the rock core specimens recollected similar in situ stress values to those estimated using conventional overcoring methods.